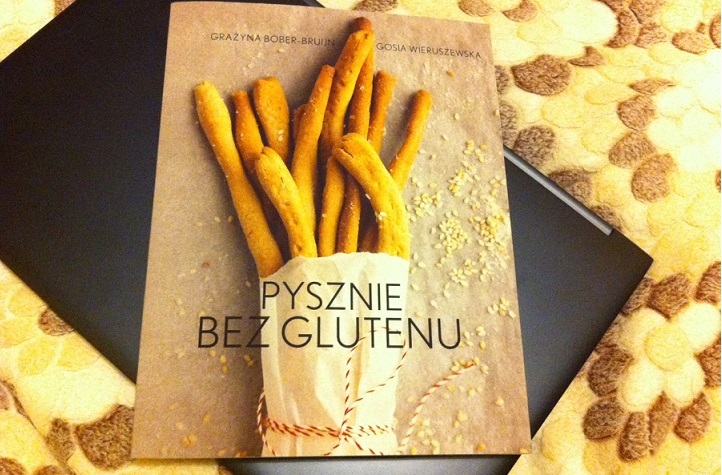 Last year, under the Christmas tree I found a polish cookbook Tasty without gluten (‘Pysznie bez glutenu’) by Grazyna Bober-Bruijn and Gosia Wieruszewska. I have seen this book on the internet before my Christmas trip to Poland and I thought already back then of purchasing it once I had an occasion. Santa seems to read my mind! Pleasant book cover & many pretty photographs! Simple dishes (perhaps some even too simple). 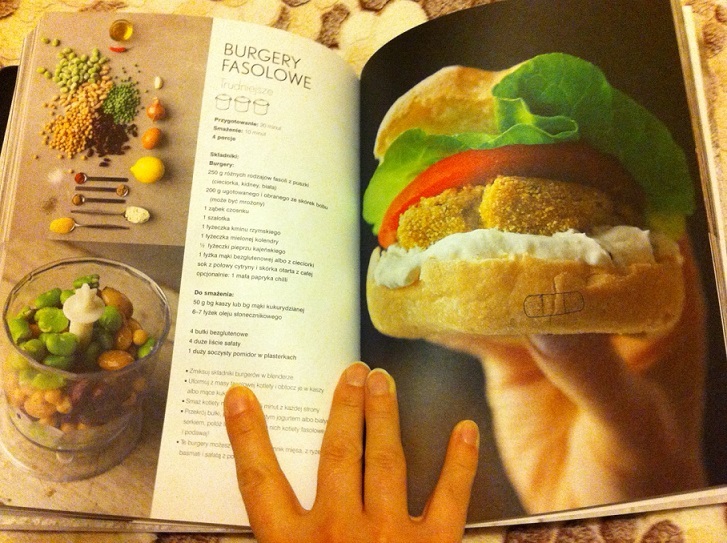 The book contains about 100 recipes for easy meals. The dishes can be prepared within 20-30 minutes. There is no need for rare ingredients to follow the recipes. The recipes don’t call for advanced kitchen accessories or complex cooking techniques. Some meals are perhaps slightly too simple to be included in a cookbook (like mozzarella with tomatoes) but on the other hand they might serve as inspiration for people with Celiac disease. It happens often that we feel overwhelmed by our new dietary restrictions and sometimes we lack ideas for our meals. The book contains three categories of food: snacks, dinners and sweets. I was a bit surprised that some desserts and drinks are included in ‘Snacks’. As the title suggests the main focus is to cook without gluten, the presence of other allergens in the recipes is not underlined. The difficulty level of recipes is specified as very easy, easy and slightly more difficult. Each recipe is accompanied by short general information. The time needed to prepare the dish and the amount of portions obtained is specified. The ingredients and their amounts are clearly listed together with easy cooking instructions. Many dishes are inspired by trends present in the Dutch kitchen. In the end of the book there is an index of all recipes. The book is meant for people who don’t have much experience with cooking (gluten free) as there are many popular meals included in the book. It would make a good present for those who are newly diagnosed with Celiac disease and feel lost due to their new diet. The collection of recipes includes dishes commonly shared on food and ‘gluten free’ blogs and websites.